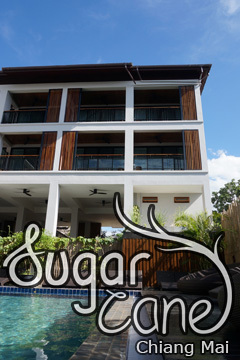 TJR Boutique House - Old City, Chiang Mai, Thailand - Great discounted rates! 8.3 out of 10 based on 604 verified user reviews via Agoda. Stop at TJR Boutique House to discover the wonders of Chiang Mai. Both business travelers and tourists can enjoy the hotel's facilities and services. Service-minded staff will welcome and guide you at the TJR Boutique House. Guestrooms are designed to provide an optimal level of comfort with welcoming decor and some offering convenient amenities like television LCD plasma screen, internet access ?ÛÒ wireless, internet access ?ÛÒ wireless (complimentary), non smoking rooms, air conditioning. Enjoy the hotel's recreational facilities, including massage, garden, before retiring to your room for a well-deserved rest. TJR Boutique House is an excellent choice from which to explore Chiang Mai or to simply relax and rejuvenate. TJR Boutique House - Chiang Mai classifies itself as a 3 star hotel.